@caffeine I got my blood work done just before going on keto, and was advised by a health coach to get it redone 3 or four months after a change in health regime, so in a few months I will be able to post a comparison. My blood pressure and cholesterol were trending higher, so slightly above the ideal thresholds, which was the main prompt for me to try to lose some weight and stay in control of my health. I'll be interested to see whether eating a ton of fat helps my numbers out. I'm on my 4th day now. Down from 174 to 171. 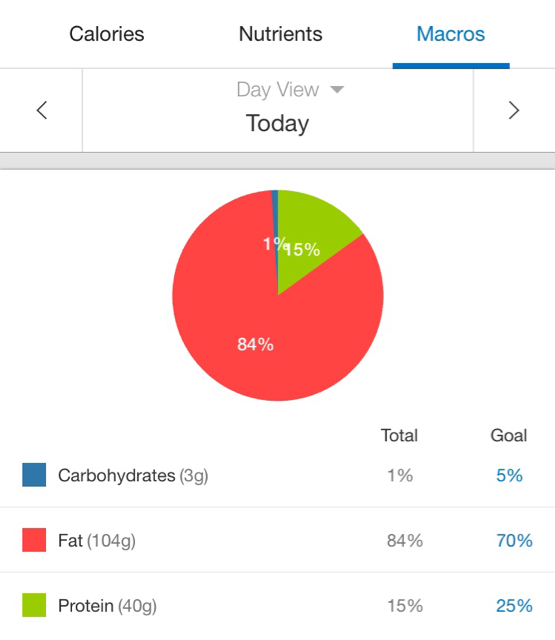 Averaging 1250 calories, 97g of fat, 79g of protein, 22 carb, 12 net carb a day so far. I feel like I'm doing it right, but haven't experienced any keto flu like symptoms so far. I've been supplementing some powerade zero in to help with electrolytes and nothing else out of the ordinary. Drinking 3-4 20 oz bottles of water a day in addition to coffee, powerade zero, and some sparkling water. Then again, I'm dealing with seasonal allergies/congestion that I think turned into a sinus infection, so maybe that is masking it. I haven't really felt hungry with the calorie deficit. I've been eating a serving of peanut butter everynight to help curb and sweet cravings. Had to resist the urge last night to mindlessly snack during the Cavs game (not that I was hungry, just think its a habit). Made some awesome bacon-wrapped-avacado-stuffed chicken bombs yesterday. I think I realized Im an alright cook lol. I'm also becoming addicted to my food scale. Love that purchase. I normally eat cold cuts for lunch. One change I think I'm going to make, is to swap in salami for my bacon encrusted turkey breast. Salami is much higher in fat and has a few grams less of protein than the turkey breast, so that should help with my fat/protein ratio some. Anyone see any issues so far? @L2 — keto flu only happens if your electrolytes aren’t regulated and it can happen at any time; not just the first week. If I forget to supplement I will still get the symptoms! So it sounds like you’re getting enough of everything in for now, so I wouldn’t worry about it. If you start to get any symptoms, just make some “keto-ade” using 1/4tsp lite salt in at least 20oz of water. I add crystal light or mio and 1.5tsp of magnesium citrate (be careful with this! maybe start at .5-1tsp). From my experience, you will eventually have a lower metabolism if you maintain those number of calories. You'll lose the initial water and some fat, but if you end up hitting a wall with your energy level (ie your metabolism went down) you may want to look at intermittent fasting or at least give your body a break from the continuous low calorie diet. @FIPurpose So I take it you are recommending me try to up them some then? By how much? I input everything in this calculator( https://keto-calculator.ankerl.com/) and it says my base metabolic rate is 1,764 doing nothing and 2,174 being lightly active (which I'm assuming I am working a desk job and doing light workouts 3 days a week during keto). I am familiar with IF, but am staying away from it for now as I want to get comfortable with my macros and am for now putting coconut oil in my coffee which would break my fast in the morning (i believe). I was/am considering it the final 1-2 weeks of this 5 week experiment as I was expecting some stalling, but may switch sooner. I'm hesitant to give any advice as I do not know your medical situation. Especially if you have diabetes or kidney failure, several drugs can cause wacky things when on a keto diet. Always consult with your doctor. For the first 5 weeks you'll probably be fine. I noticed a lack of energy at around the 3-4 month mark, which makes it a diet, not a way of living. But what I would do is not track calories. Get used to eating keto: eating when you're hungry and not eating when you're not. On keto you'll find that your appetite makes a lot more sense. So what you don't want is to continue eating out of habit or specific times. The energy and mental clarity I feel doing IF, I wish I did it years ago. This week I did a 48 hour fast and try to do OMAD 2-3 times a week. Honestly it surprised me how much better I feel doing IF over straight 3 meals a day keto. I started Keto last week. Target is to heal my fatty liver and lose weight especially the adipose fat around my gut. 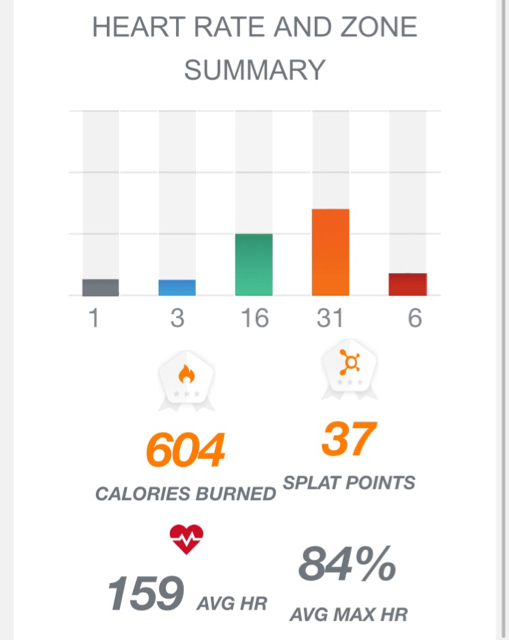 The whole "moderation in eating and some exercise" thing was just not working at all. After some internet research it opened my eyes to why. I was honestly quite shocked how poorly society is responding to the epidemic of type II diabetes and obesity. The conspiracy of big pharmaceutical and the industrial food complex to suppress the LCHF diet is a real scandal. Really enjoying it so far. Got a full blood test work up and BP to serve as a baseline. The fat on my belly, especially around my hips is stubborn!!. It has barely budged over the past month. I guess that must be one of the last areas it will be leaving from. I don't measure my chest, but I think I lost some there and I lost some from around the belly button. So I guess I look a bit more out of ratio than typical this week. This week I tried to go for 3 days but stopped at 48 hours. Honestly, I hardly felt any hunger pangs the whole time. I started to feel a bit light headed despite having salt and bone broth. So that's why I ended it. I did about a 20 hour fast as well. This fat is being quite stubborn, so I'll attempt a longer fast again this week, and see if that can push me in the right direction. Today and tomorrow though is some time for refeeding! If fatty liver is an issue, don’t be surprised if you go through relatively long stalls without weight loss as your body works on healing internally. I see that connection in some of my other keto groups. • 5oz ribeye -medium and super tender! 660 calories, 10g carbs (7g net), 52g fat, 44g protein. Had some serious snack withdrawals this evening. Had to make an emergency trip to the grocery store for some sugar free jello and whipped cream. I spent both days this weekend kayak fishing (like a true mustachian), so I burned a lot of calories paddling around everywhere and my eating got all out of whack (not enough calories during day). Going to force myself another 300 calories tonight so hopefully I'll be back to normal going into the work week. I had a really good ice cream sandwich last night which may have made me store a bit of water for today's weigh. loss of inches around arms and legs, though slightly more loss on my right side than my left? I've found that it has been much easier for me to turn down low quality sweets. Anything that's just made of cornsyrup, cheap one cream, things that have no flavor except sugar. So when I do have something sweet or carby 1-2 times a week, I know it's made from good quality materials. I'm not doing Keto, but I am cutting out added sugar and refined grains, which is going to make me MUCH lower carb than I'm used to. The first week seems to have helped with my brain fog (my purpose for this is to try and combat some of my Fibromyalgia symptoms), so I'm hopeful. I've made some weekly menus for the summer to keep things interesting and to hopefully have a variety of go-to meals during next school year. What are you guys eating? I am trying to switch to OMAD (well, 200cal BPC in the morning and then one meal ~1000cal) and am trying to find good recipes. 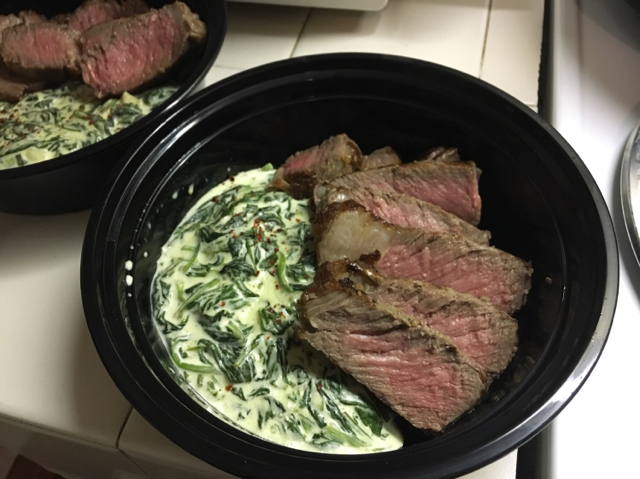 I really liked the creamed spinach I made, very calorie dense. But I’m looking for less dairy since I feel like I’m eating 50%+ dairy every day and that can’t be healthy...? Hahah, I was so confused by your post. I saw 'OMAD' and didn't know what it was (now I do), and then the bit about trying to cut back on dairy. In my nomenclature, the 'GOMAD' diet is "Gallon Of Milk A Day", and the purpose is to try to gain weight by (among other things) drinking a gallon of milk a day. I understand that one. I think thats the toughest part about keto. You want high fat, but most meat at the grocery store is pushed to be low fat as possible. Oils are fine, but lacking in nutrition that is going to help keep you satiated. So Milk fat kind of becomes the go to food. Flavor, high fat content, and can augment almost any meal. I've also made blender mayo that is fantastic for high fat needs. Can be made into ranch or aioli for a leaner meat or vegetables. Egg, lemon juice, Olive oil. Personally I need to put more effort in the fish part. Though with my fasting routine, I feel like I only cook once a week now. It should give me the budget to buy a good high quality fish. Egg yolk, lemon juice, butter. More or less the same way you make mayo, but I've also done it in a double boiler, where you more or less thicken it by cooking the yolk. It also works, but not as good left over. My eating patterns are very different from OMAD so can’t really help. I get sick to my stomach if I try to eat too much in one sitting. Fish with tartar sauce. Yum! Ate that tonight. I had a salad kit (southwest), where i put the ENTIRE packet of creamy salad dressing on it. I usually only eat a tiny portion of the included dressing, but the ENTIRE thing made it delicious and filling. Chia pudding (with a splash of whole cream). Eggs with a side of tomatoes. Avodcados for snack. I will admit that I am in need of more ideas, too. Two weeks into the diet and I've been stuck down 5.5-6.5 pounds for the last 6 days now. Avg calories are at 1450 throughout the first 2 weeks, and honestly the only reason I track is to make sure I am getting enough, and its easy because of MyFitnessPal. Usually end up forcing myself to get to the average during the evening. Macros should not be an issue. Probably give it another week and then implement 16-8 IF if I continue to stall (if you would even call whats happening now a stall). My DW and I have been doing LCHF keto for about 1.5 years now. Her results have been dramatic -- over 70lbs lost, greatly increased energy, mood, and overall well-being. For me it has been a success, though less so. In the first 6 months I lost 20lbs, but over the next 6 months gained back 15 and then plateaued. (Holidays didn't help). Now, we're both being more strict about the diet, and I have started experimenting with IF as well as increasing exercise. After ~2 weeks I am down 5 lbs, and feeling good, but need to keep experimenting with IF as I am having trouble sticking to it. Unless you are extremely overweight, I would not call 6 days a stall. At 1500 calories per day, you would at most lose 1 lb., but more likely less. Along with weight fluctuations you wouldn't be able to notice. The only way to know is to measure inches. Everyone here should be measuring. Look at the measurements I've been posting: I have consistent reduction in inches and my weight can fluctuate 5 pounds up or down. Caffeine -It's really hit me how much more effort it use to be to move around. I hear ya on that. I am down 26 pounds and I definitely feel lighter on my feet. I'm combining OMAD and carnivore with working out and intermittent fasting. I've lost fat and built muscle. If you are stalling I have found a couple ways to defeat it. The easy way is to up your water intake by a lot for two days. Then go back to your normal amount. The second way is for the stalls after you have lost a bunch and then are stuck for a few weeks. Add in carbs ( or Calories whichever you are counting) until your weight starts to move up. Stay at that level for a week so your body adjusts then drop back to where you were before. I've even had some luck with eating a ridiculous meal where I'm three pounds heavier the next day then right back to my normal eating. That one day of grossly overeating seems to get my body burning again. Big meal has worked for me in the past, too. So did chugging water and going a few days with zero artificial sweeteners/sodas/carbonation. Six days is not a stall. Six weeks? Sure. Patience, not gimmicks. Remind yourself this is best viewed as a permanent lifestyle change, not a temporary diet. The big meal trick is really amazing. The body gets lazy as it has the same amounts each day. Flood it with food one day so it stops goofing off and starts burning again. Plus it's awesome to eat a huge buffet and 4 days later weigh less than before. 196, new all time low. Down 49 lbs on low carb, 99lbs from my all-time heaviest which I’d lost most of it and then regained about half before trying low carb. Will post results. :-) For science! * only 3 because then I’m on vacation for a week. Then will return to this for additional science. Today I didn’t hit my protein goal during my OMAD but I think it will be okay since it’s just one day. I’m a little low on calories too, but during my workout I pulled an abdominal muscle and didn’t really want to eat after the workout. • FiveGuys cheeseburger with pickles, mayo, mustard, lettuce = $3.76 (uber eats credit each month from Amex Plat; bought 2 so I have tomorrow’s dinner set too for another $3.76). HIIT/weights. I strained an abdominal muscle about...5 minutes in, so that was fun. Stuck mostly on the treadmill at incline walk &amp; rowing machine after that, but at 10-15% incline so I am still dead. Up half an inch from last week. I think because I misread one of my arms last week. I wish I had a digital scale, I saw number hover around 202-203. I tend round up instead of down. But it's easy to round up when I feel like I'm still making good progress toward my goal of 190 by April 2019. That puts me about 2.5 lbs ahead of schedule. I did a 48 hour and a 24 hour fast this week. So not seeing any inches come off was a disappointment. But I read somewhere online that 1 inch around the waist represents about 8 lbs. Right now I've personally seen 1 inch per 4 lbs. So will I be down another inch from where I am now at around 198 or 194? We will see, because I plan on making it there. 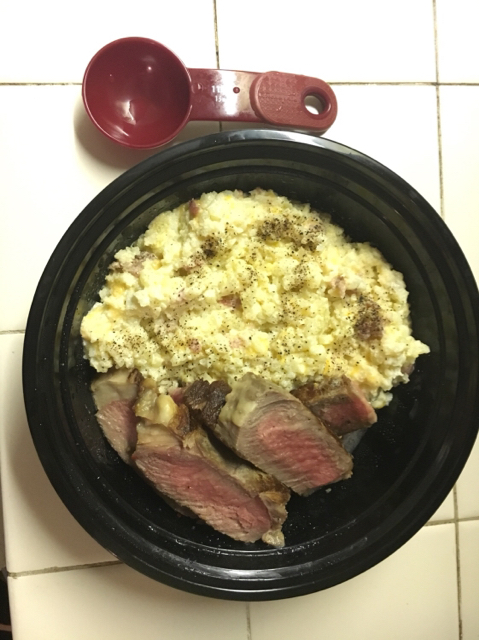 Made loaded cauliflower rice and choice steak for 3x dinners. I love that I can stretch one piece of steak into three separate meals now. The holy grail - keto bread! If you're like me, you really miss bread. So I've been experimenting. I tried all the recipes online. Most of them were crap: too eggy, too cake-like, too crumbly, and tasted nothing like actual bread. Or needed ingredients I just can't get overseas, like psyllium husk. And I've come up with a solution. This recipe will give you something pretty indistinguishable from bread. Tastes like bread. Strong so you can slice it thin and it holds together. And about 1.5g net carb per slice assuming 17 slices per loaf. The secret is I use gluten. So many recipes online are also gluten free. But I have no issue with gluten. So if you too are not gluten intolerant and you want a decent sandwich, try this! For kneading: 1 tblsp walnut oil. Mix the dry ingredients together well in a large glass bowl. Now add wet into dry and mix together with a spatula and form a ball of dough. Let sit about 5 mins so the flours can absorb the liquid. Pour the oil over the ball, and coat your hands too. On a silicone sheet, knead the ball vigorously for about 5 mins, until you see the gluten making a bready texture. Roll into a cylinder shape and put into a lightly greased (or silicone) small loaf pan (around 8x3.5" - not too big). Cover with oiled cling film and put in a warm place to rise for about 1 - 1.5 hrs. Once risen, lightly score a few cuts in the top, and brush top with an egg. I like to sprinkle some seasame seeds on top. Bake ~40 mins at 375F/190C mid oven. Enjoy!!! If you try it let me know what you think. Don't worry about the sugar in the maple syrup - the yeast will eat all that. Loaf has ~26g net carbs. I can easily slice at least 18 slices because it doesn't brake apart. Toasts really well too, v similar to real bread crispness and firmness. Man... I'm so close to $100,000 in my 403b, but now that paychecks are done for the school year, I won't see that anytime soon. So I fell off the BPC and was just fasting to lunch or, if I was strong enough, till dinner. I was getting disgusted by having a layer of fat on top of my coffee and having trouble getting it down in the morning. This past weekend, I discovered the milk frother! A $7 instrument that perfectly mixes my coffee and my protein shakes! I'm now enjoying the best BPC I've ever had! This morning, a lovely breakfast of smoked salmon, hard boiled eggs (with butter), and coffee, outside on the screen porch. Wife liked it. Last night, pork steaks, broiled, with a side of green beans & bacon. Finally found something to eat for breakfast that doesn't include sausage and eggs, isn't something I usually eat for any other meal, can be made ahead, freezes well, and travels well on public transportation. Cheeseburgers (no bun)! While I indulge occasionally it's not in the regular rotation. So this week I'm having a homemade cheeseburgers for breakfast. So far so good, but next batch needs to consist of smaller patties. I'm a little too full, but happy! I made the same discovery this past Christmas. I bought my wife a frother, but I ended up using it more. My recipe is coconut oil + ghee + a little almond milk + erythritol, heated up separately in the microwave & then "frothed." I pour the coffee into that, and end up with a BPC "latte" that keeps me going till lunch. What macros tracker is everybody using ? I use the good old "that looks like about 5 grams of carbs" tracker, in combo with the "one more pork chop can't hurt" tracker. Other people use "My Fitness Pal." I don’t track, 51 lbs lost and counting. If your knowledge of food is low though and you're not quite sure what things have carbs or how much protein is in an egg, it can be useful to learn an appropriate food gauge. I want to hop on this train. I'm familiar with low-carb diets from my experience with Paleo years back when I did CrossFit. I injured a knee in 2013 and life hasn't been the same since. Now I'm in my mid-30's and I see the writing on the wall if I don't change something that improves my ability to rehabilitate the knee. I've been losing weight for the last 6 months but an anti-inflammatory component to eating would be ideal, as that is the battle I'm constantly fighting in trying to get the leg stronger. We’re in. I last did low carb diet via 4HB about 6ish years ago. After we booked a cruise to celebrate our 25th anniversary, DW declared all 3 of us would go Keto about week and a half ago. We fly for the cruise on July 15, I’ll remember to chime in with progress by then. Yesss. I cannot stand it if the fat isn’t completely emulsified. The drink quality is night and day. Butter oil slick vs. frothy creamy latte.